South Bay Helicopter Service, Inc. was established in April 1997, to service corporate transportation needs. Since then, South Bay Helicopter has evolved into a full service air-charter company. With the purchase of the AS-350B Astar helicopter the company began expanding into aerial filming activities to include major motion pictures, television commercials, music and corporate videos, and still photography. With the addition of an Agusta 109C, South Bay began it's helicopter IFR (instrument flight rules) program. South Bay is the only local charter company that is certified by the FAA to fly in low weather conditions as the airlines do. In November 2004, South Bay purchased a new Agusta A109E Power. This gave South Bay an increase in capabilities with increased performance. In June 2008, we added our current Agusta A109S Grand, this further increased our capabilities, and added extra passenger comfort. South Bay Helicopter is a premier provider for helicopter services and has an excellent record and reputation. 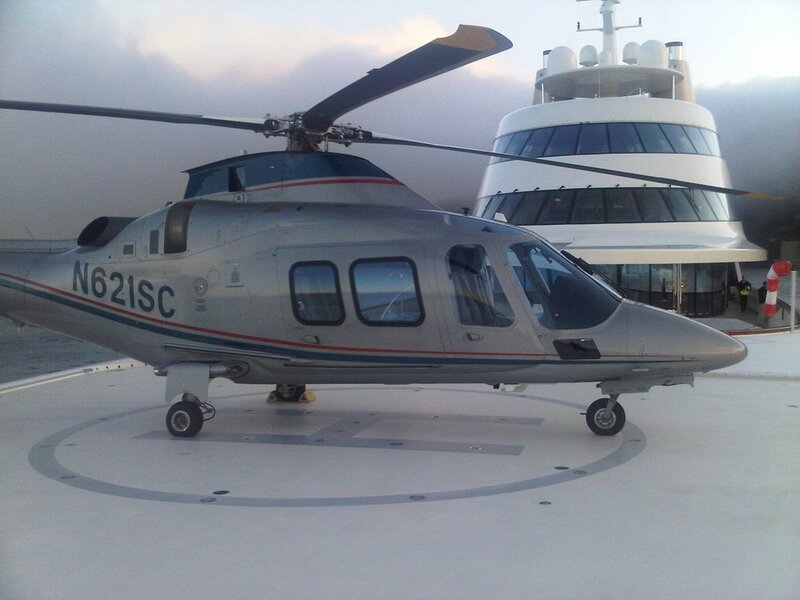 South Bay Helicopter Service, Inc. is a safe, efficient, dependable and cost effective provider of helicopter charter services to the San Francisco Bay Area and beyond. We can fly you to a meeting in San Jose / Silicon Valley, the races at Laguna Seca or take you on a wine tasting tour in Napa. South Bay offers a wide range of charter services to a discerning clientele, from business executives to motion picture production studios. 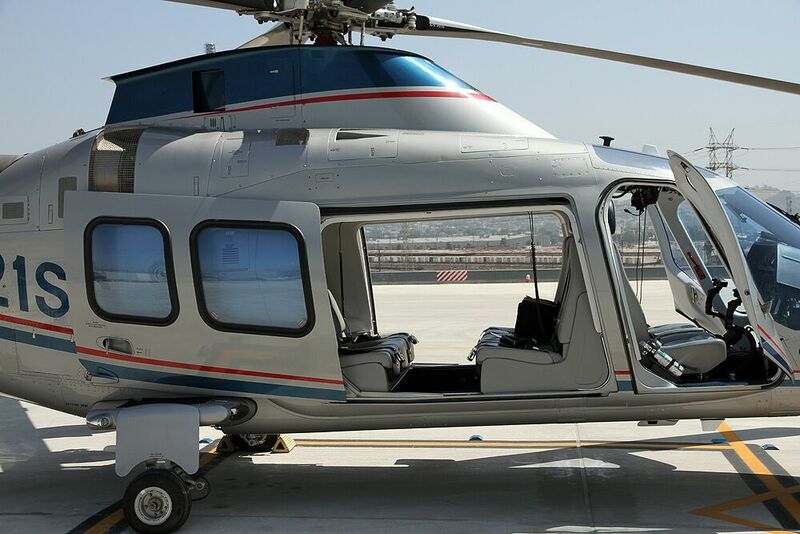 In addition to the traditional VIP charter, South Bay Helicopter provides many specialized services such as aerial photography, aerial cinematography and aerial surveys. South Bay Helicopter employs highly-trained pilots whose flight hours and credentials exceed FAA requirements. Our pilots are in command of a well-maintained fleet of helicopters, and the Company enjoys an unblemished safety record. South Bay Helicopter is proud to provide a premier helicopter charter experience, whatever your flight needs may be. Mike has been involved in aviation since 1979. In the U.S. Army as a helicopter mechanic stationed in Germany, he began his pilot career by attending the U.S. Army's rotary wing flight school program. During the next four years at Fort Ord, California, he served as a line pilot, maintenance test pilot and test pilot examiner. After leaving active duty in 1987, Mike continued as a reservist until 1997. In 1987 he went to work at Petroleum Helicopters, Inc. in Louisiana, flying Bell Helicopter Jet Ranger BH-206 and Messerschmidt - Blohm - Boelkow MBB BO-105. In the summer of 1988, he moved back to Southern California to work for Associated Helicopter Services as a Pilot/Mechanic, and its subsidiaries Island Express and Helitrans, flying Bell Helicopter BH-206, 204, 205, the Astar 350, and HU500. After company reorganization in 1991, Mike served as Director of Maintenance, Line Pilot, and Chief Pilot for Island Express. In 1996, Mike and a partner started Advanced Aircraft Services, Inc. in Long Beach, CA. AAS was an FAA 145 certified Repair Station for airplanes and helicopters. Advanced Aircraft Services was closed due to a loss of lease at Long Beach airport. Mike then went to work for Helinet in Van Nuys, California flying TV news and charters in BH-206, AS 355, and S76. Mike transferred to Helinet's Oakland, California base in June 1988, to become the Base Manager of the company's Northern California operations. In December 2001, Mike accepted his current position as Director of Operations and Chief Pilot of South Bay Helicopter Services, Inc.
With South Bay Helicopters, Mike has done the majority of his production work, subsequently becoming a member of the Screen Actors Guild (SAG/AFTRA). Because of his commitment to safety, Mike has received the HAI 5000 Hour Safety Award in 2002, and the 20 Year Aviation Maintenance Technician Safety Award in 2007.